The idea of moving to a city like Ottawa might seem easy, but once international students move here, they face many challenges that may make their days in college difficult. Even though those challenges are difficult, they keep them motivated every semester and with help from other students, they can have a great time. It is necessary to consider that most international students don’t have relatives they can rely on when going through hard times. This is where the schools come in handy with integration plans to make the international students feel important and to find more people to connect with. Having loved skateboarding since he was young, he is yet to have tried snowboarding and is highly invested in the trip. Gupta went to university in India and finds so many differences between Canada and his previous schooling system. He says that public post-secondary schools don’t have the infrastructures that Algonquin College has, but they might be found in private schools. He arrived in Ottawa on the last week of December. Gupta has a very close friend he met at the college. His name is Udit Kumar, 26, and he takes interactive media management at the same place as Gupta, but he has more experience living abroad. He is from India as well but he studied in the U.S. before coming to Canada. The first thing he noticed in North America was how polite people are. He says that the biggest difference from the U.S. is the grading system and the online courses but it is very similar. Another thing that caught his eye was how approachable and helpful teachers are in Canada. Hanna Do, a Vietnamese student studying in the Developmental Services Worker program at Algonquin College has been here since September. She says that one of the first things she noticed was the cold and how safe Canada is. 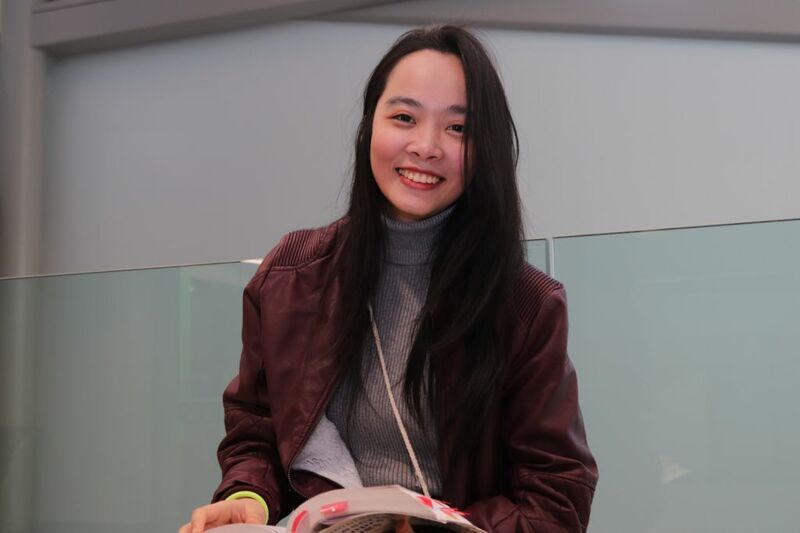 For her, the design of the city is a bit inconvenient because shopping centres are usually far from most residential areas and when there is terrible weather it is difficult to get to a mall, specifically when busing. School isn’t hard for her because she went to university back in Vietnam, but there was a short period of adjustment she had to go through. The biggest problem she has is communicating with the rest of her classmates. Her English is good but she wishes she had more chances to practice the language. She currently works at a Vietnamese restaurant where she communicates mostly in her native language. Amenemhet Lares Sánchez is a fourth-year Honours BSocSc in conflict studies and human rights at the University of Ottawa who has been living in Canada for six years. She was born in Mexico but moved to Alberta in when she was in grade 11. Lares was living in Quebec when she decided to go to uOttawa, but she was still registered as an international student. For her, school hasn’t been a big issue because she is used to the Canadian way of teaching. Right now, she works at the International Office of uOttawa as mentor of students from the Americas, Australia and New Zealand. She is not registered as an international student anymore; she got her Permanent Residency around the second semester of her third year. Sometimes the best help international students can get comes not from the school but from the natives. According to Anna Choudhury, Algonquin College’s manager of the international student integration at the International Education Centre (IEC), Canadians play a huge roll in the adaptation process. It is important to consider what international students need because Canada is so different from their countries that it is easy to forget they aren’t used to things that are common for Canadians. That way their experience and relation with the people will be better.